It is natural for a homeowner to feel safe and secure after an electric garage door installation. 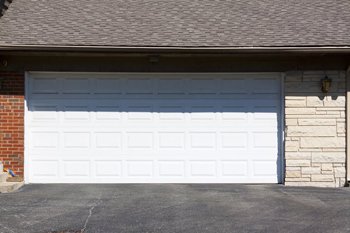 The modern doors for garages are made to be strong, reliable and highly weather-resistant. However, this does not mean that they are fully protected or that they will retain their high resistance to the elements in the long term. 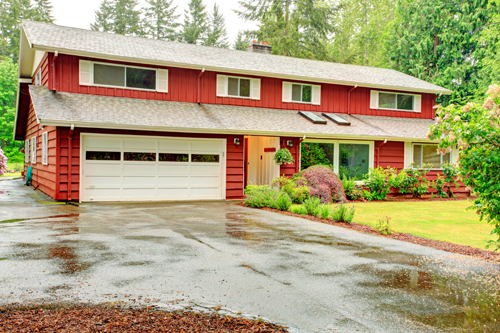 It is up to the owners to keep them as weatherproof as possible through proper garage door maintenance. Consider some practical tips which will help you with this. The traditional wood and sheet metal doors have to be painted or stained. Painting is recommended in areas with moderate climate. In harsh weather environments and in coastal areas, staining may provide a higher level of protection from the elements and reduce the need for a garage door panel repair or replacement. The choice of paint or staining product will depend on the material which the door is made from and on the recommendations of the manufacturer. It is crucial that the product matches the company's precise requirements. Otherwise, the warranty may be voided. Typically, modern steel doors are painted with exterior-grade paint which is latex-based. The panels must be repainted or re-stained on an annual basis. This will guarantee that the door will have a high level of protection at all times. The installation of weather seals is the other major step necessary for protecting the panels from the elements and from moisture, in particular. Most modern units come with pre-installed bottom seal. It is held in place by a specially designed retainer. Weather seals have to be installed on the sides and on the top part of the door as well. All weather seals or strips are subject to wear and tear. That is why they have to be replaced whenever they become too thin or get damaged. Even though the modern garage door parts are made from galvanized steel, they are still not fully resistant to rust. That is why they should be properly maintained. This will lower the risk of water causing damage to them. Protecting the moving metal parts is easy. You simply need to clean them with appropriate solvent on a regular basis. After the cleaning, they require lubrication maintenance. In general, the weather strips will help for their protection as well. Finally, you have to ensure that your entire garage is well insulated and that there is no moisture in it. This will lower the risk of further damage.